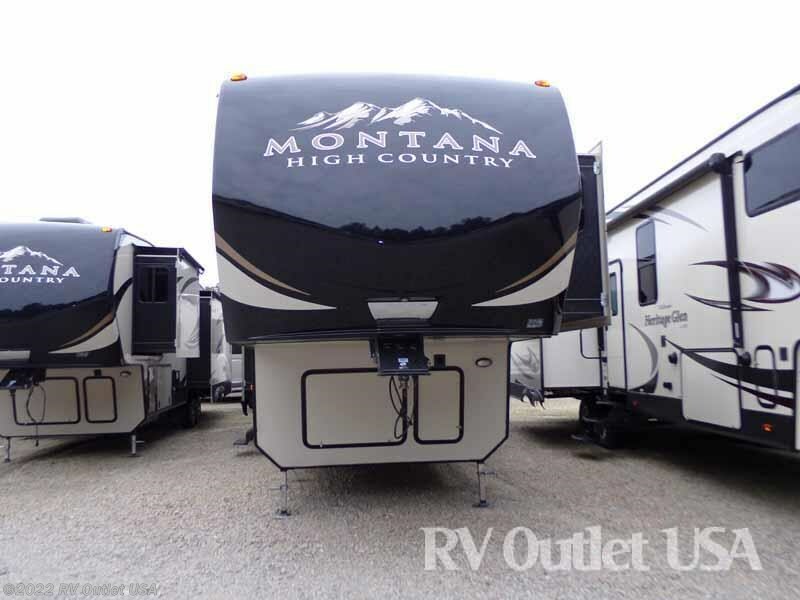 CALL FOR THE LOWEST MONTANA HIGH COUNTRY PRICES IN THE NATION! 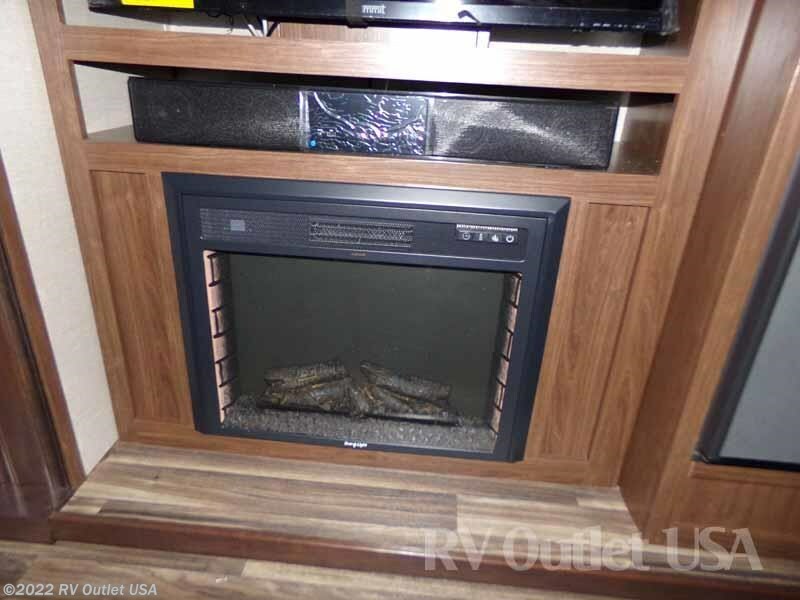 SOLID SURFACE COUNTER TOPS ** ELECTRIC FIREPLACE! 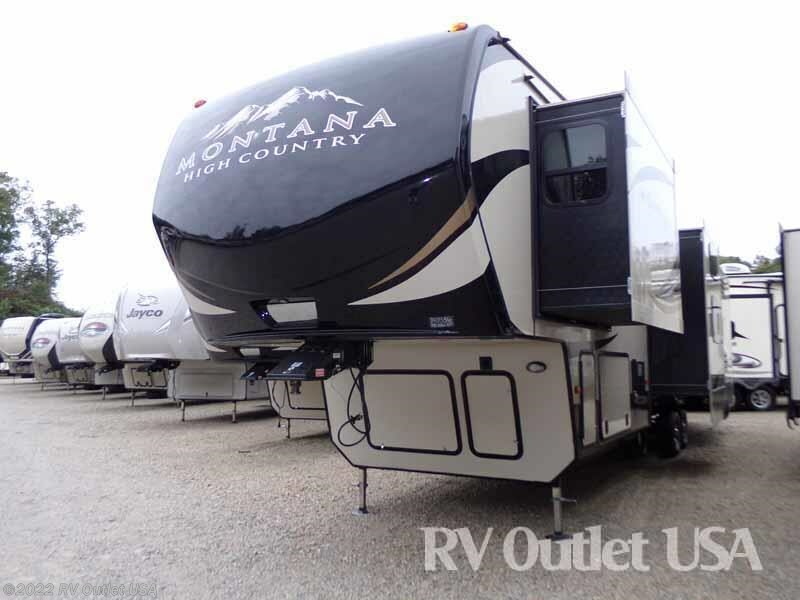 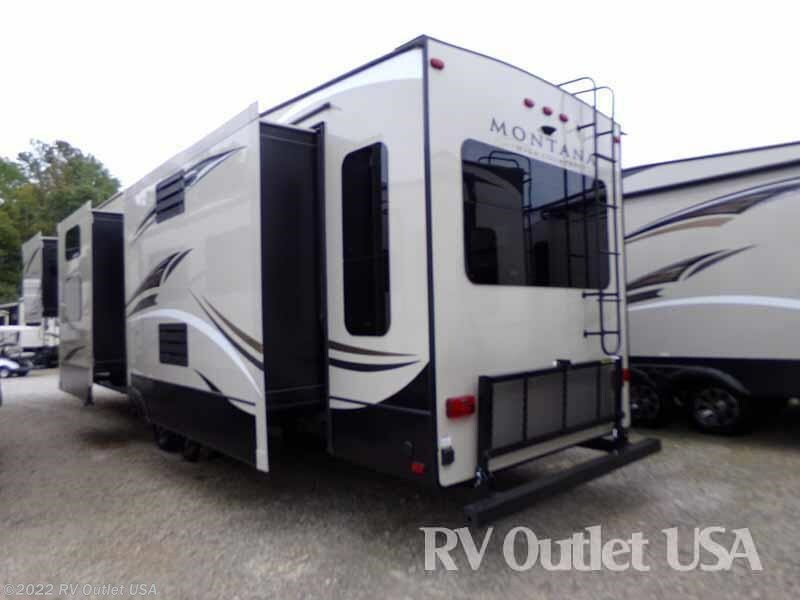 Introducing the brand new 2018 Keystone Montana High Country 370BR 5th wheel! 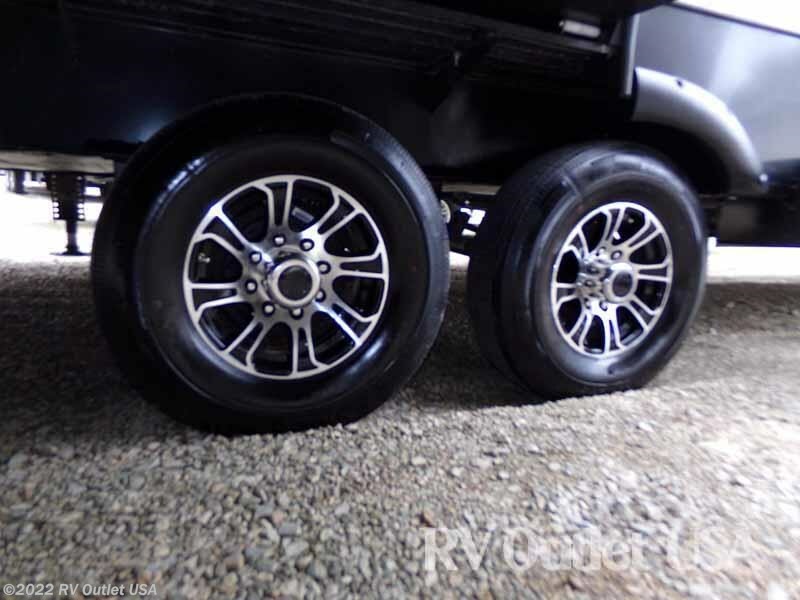 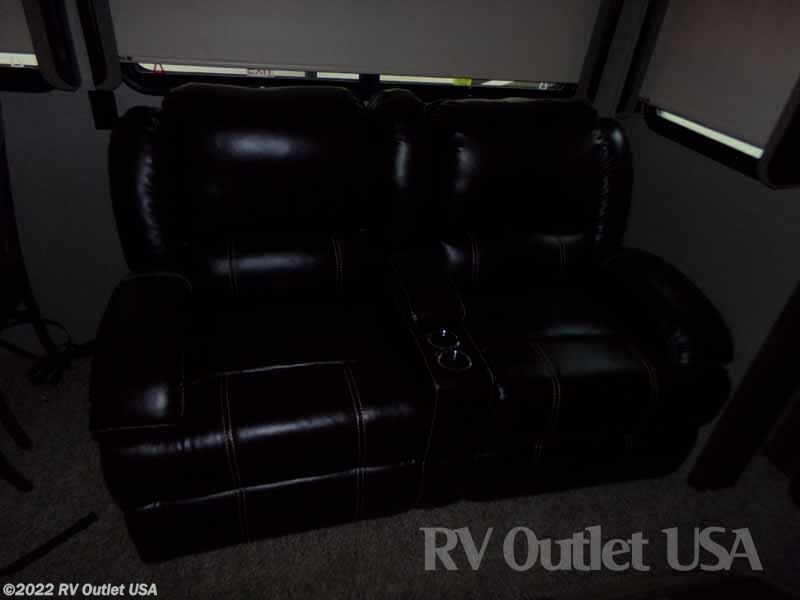 If you're looking for a rear lounge 5th wheel with a mid bunk for the kids or grand kids, then look no further and expect Keystone quality! 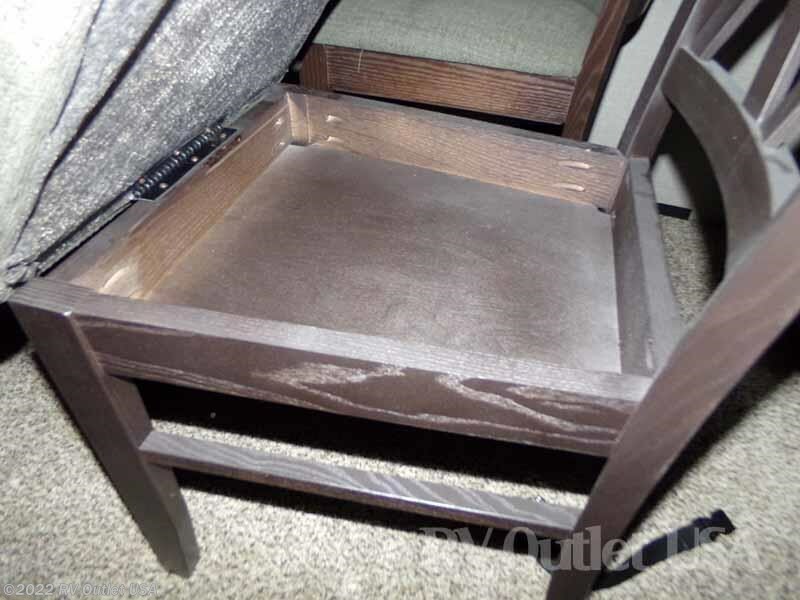 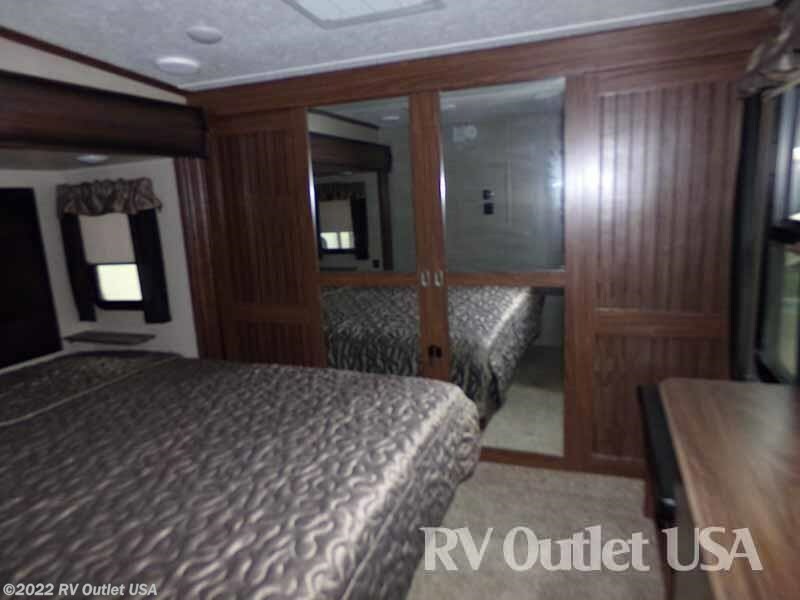 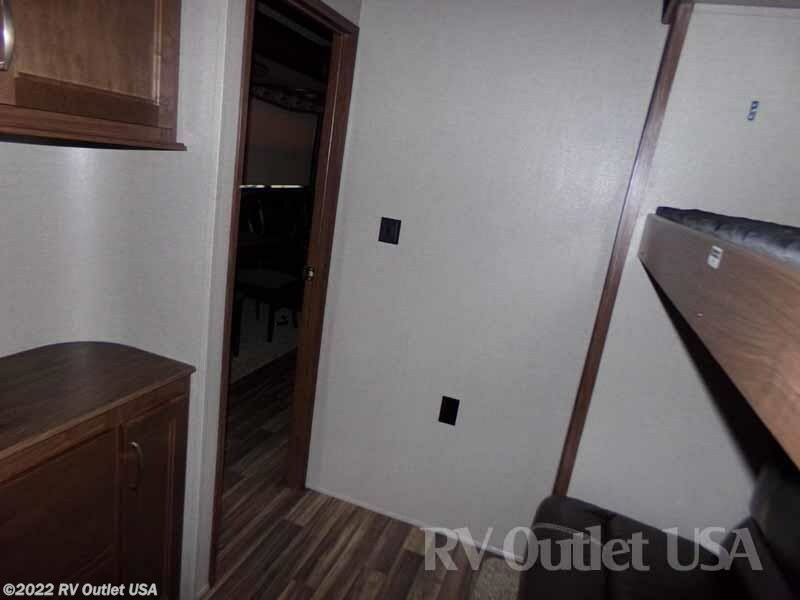 It has (4) slides with a king bed slide in the master bedroom which gives you a huge full height front wardrobe, it's been prepped to take a washer and dryer, it has a dresser at the foot of the bed and a master bedroom TV. 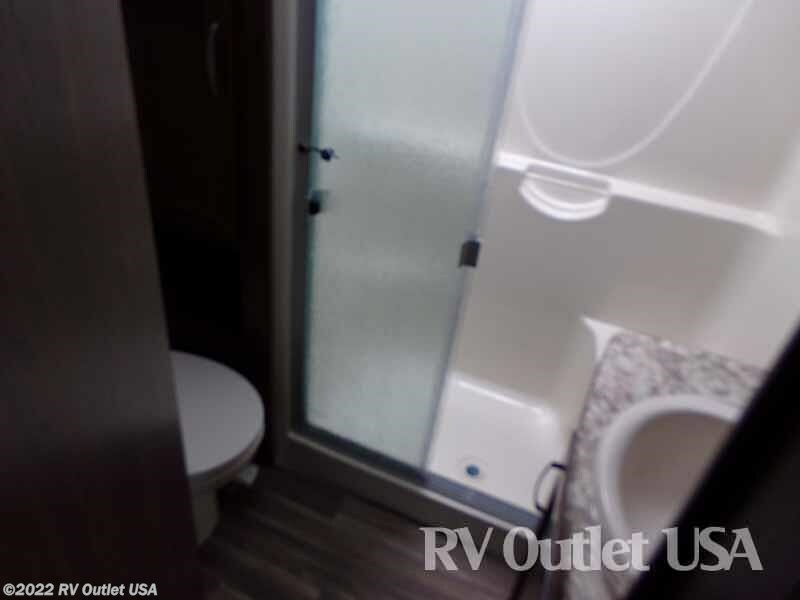 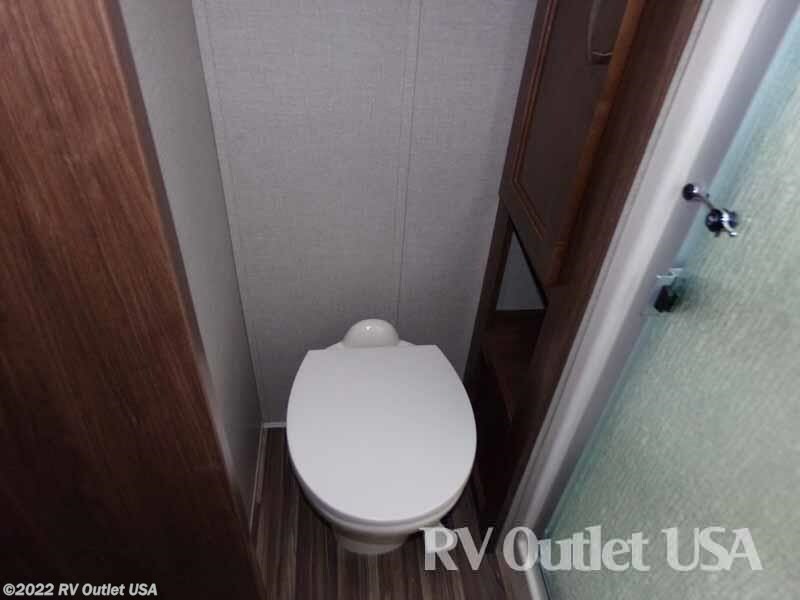 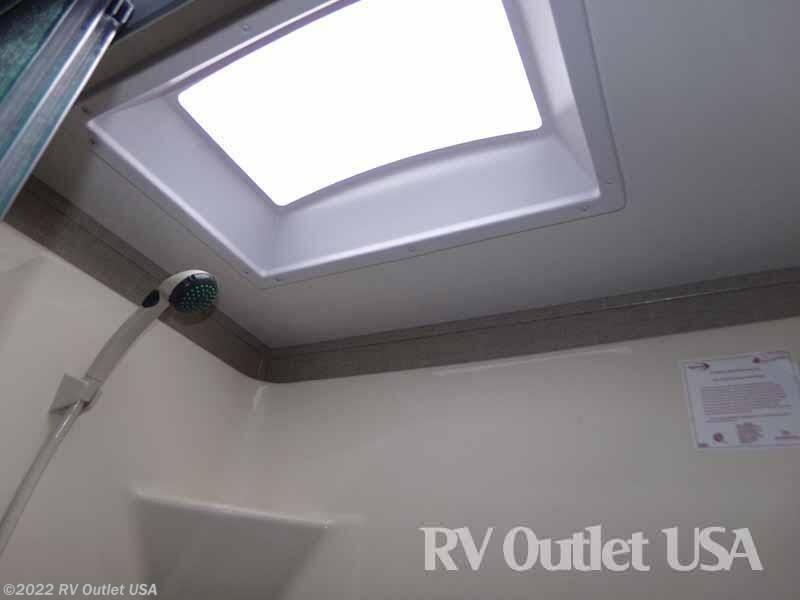 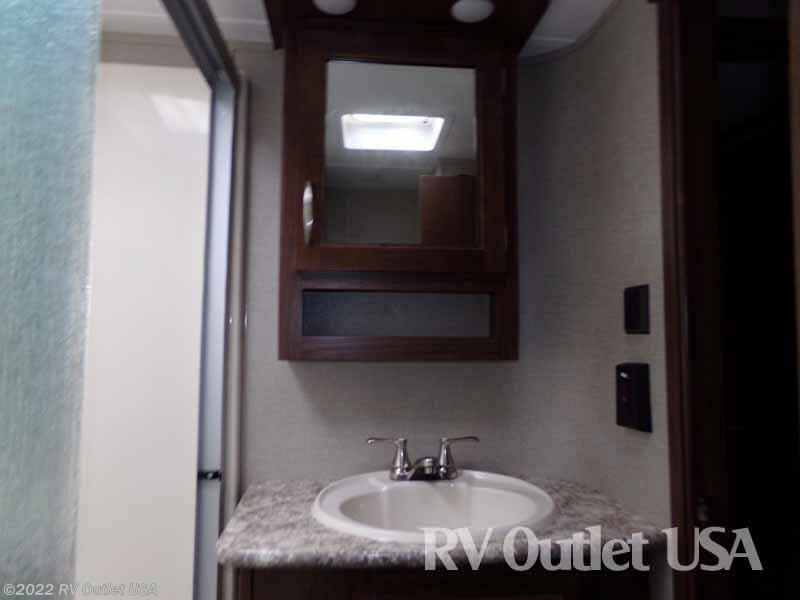 It has a super nice side aisle bathroom with a walk in shower with a built in seat, a foot flush toilet, a sink with underneath storage, a linen closet and a medicine cabinet. 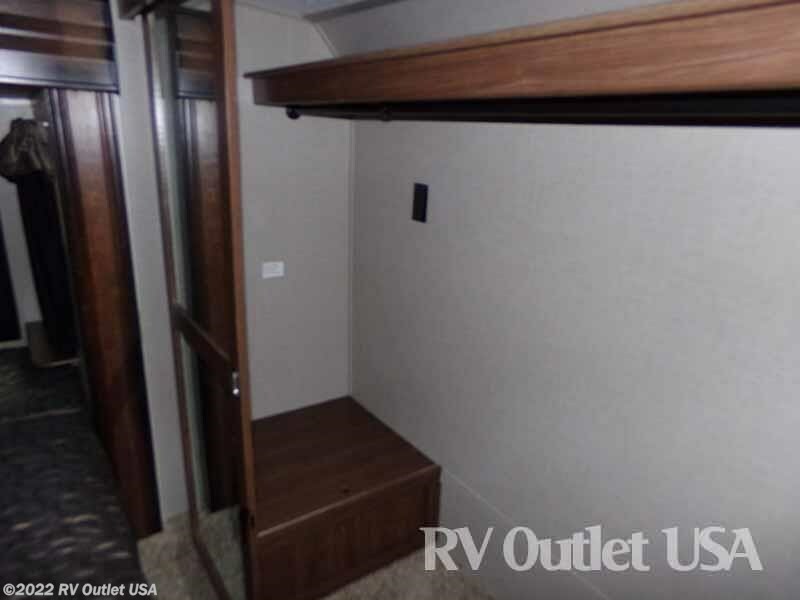 Walking down the steps to the main living area, it has a small hallway and on the right side is the bunk room which has the optional pull out Tri Fold sleeper sofa on the bottom and a swing up bunk over top. 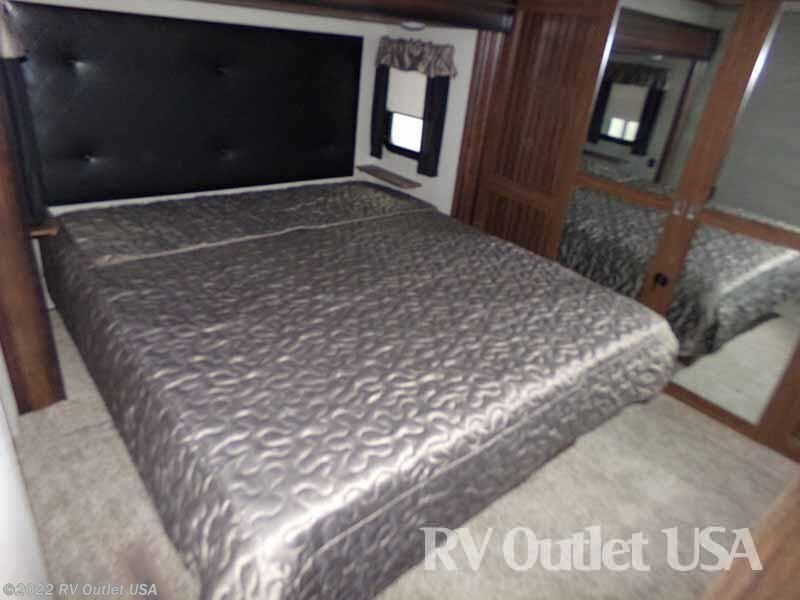 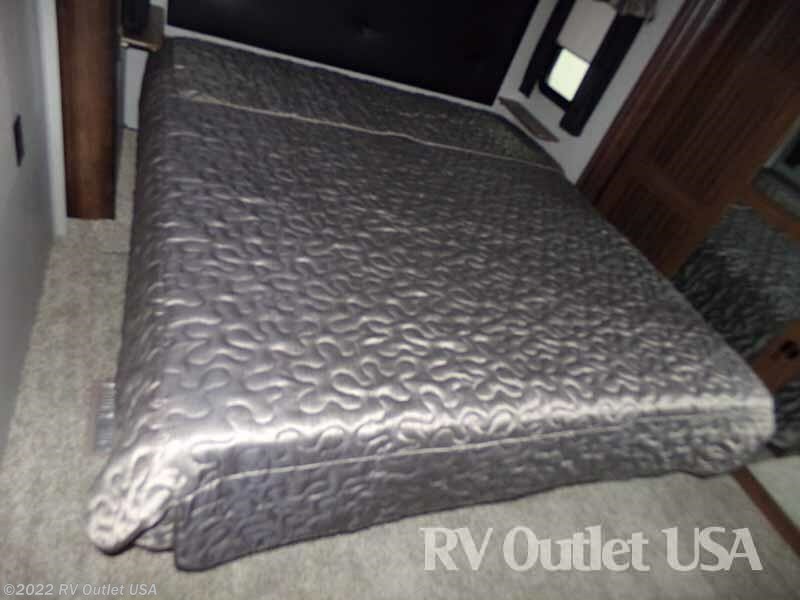 You can sleep up to (7) people in this RV. 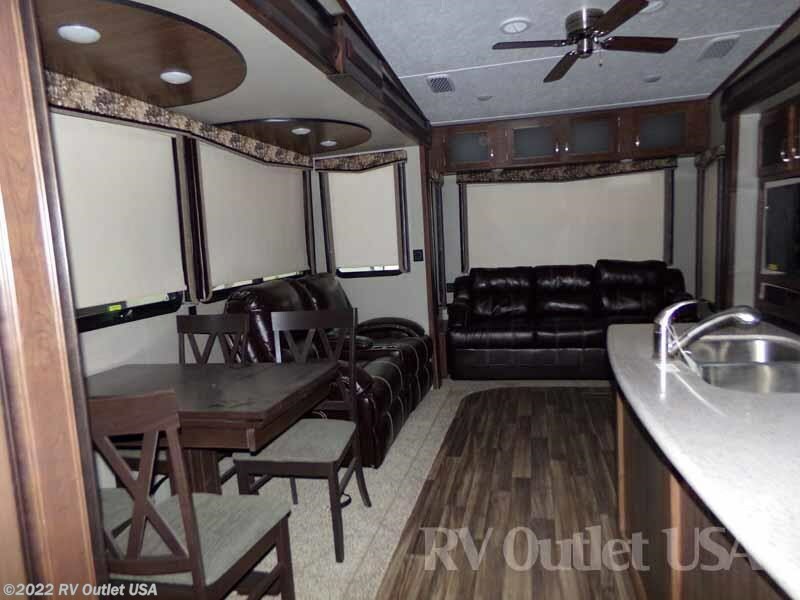 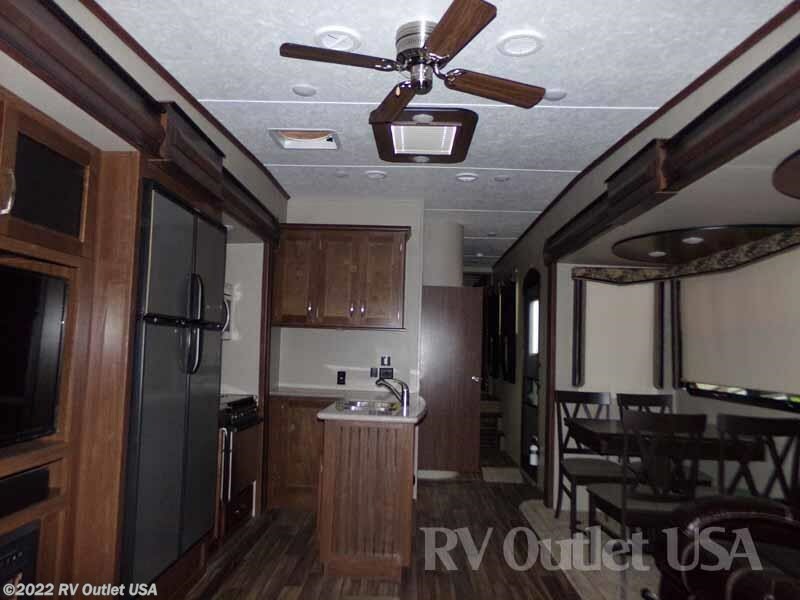 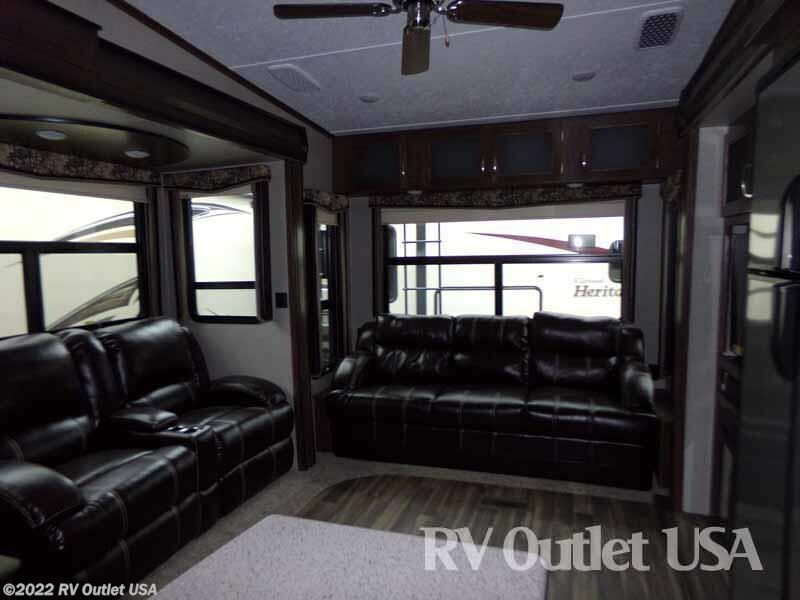 The main living area is huge in this 5th wheel because of the (2) opposing slides! 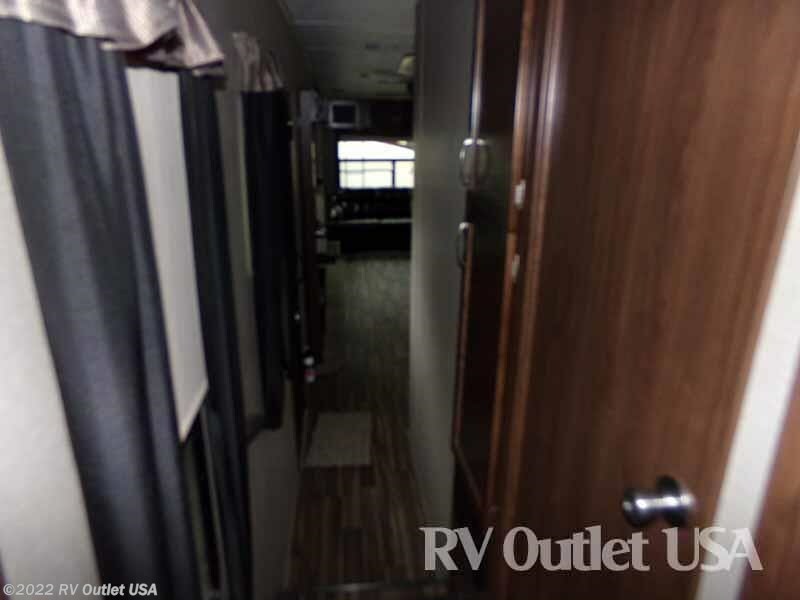 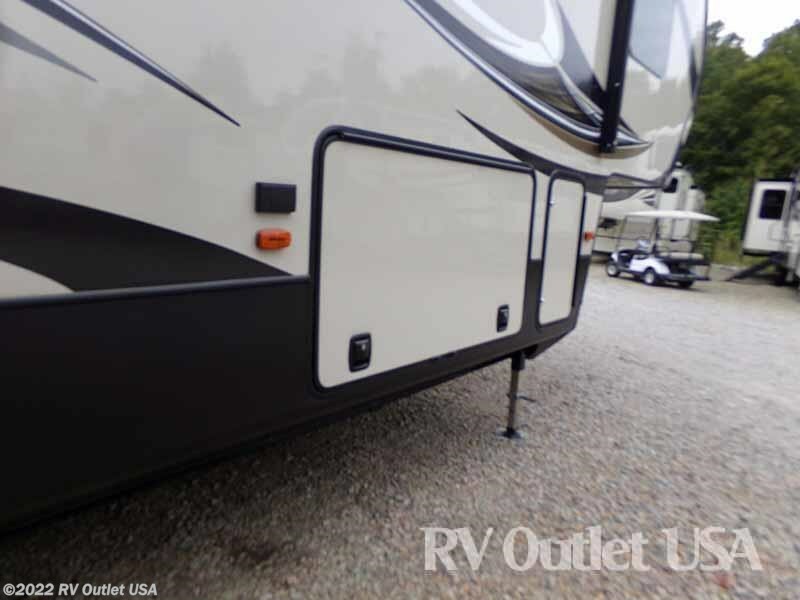 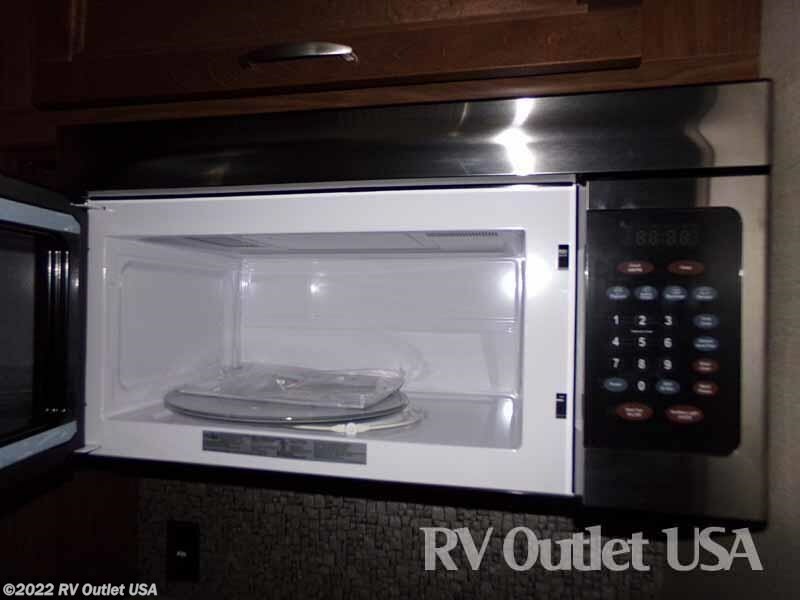 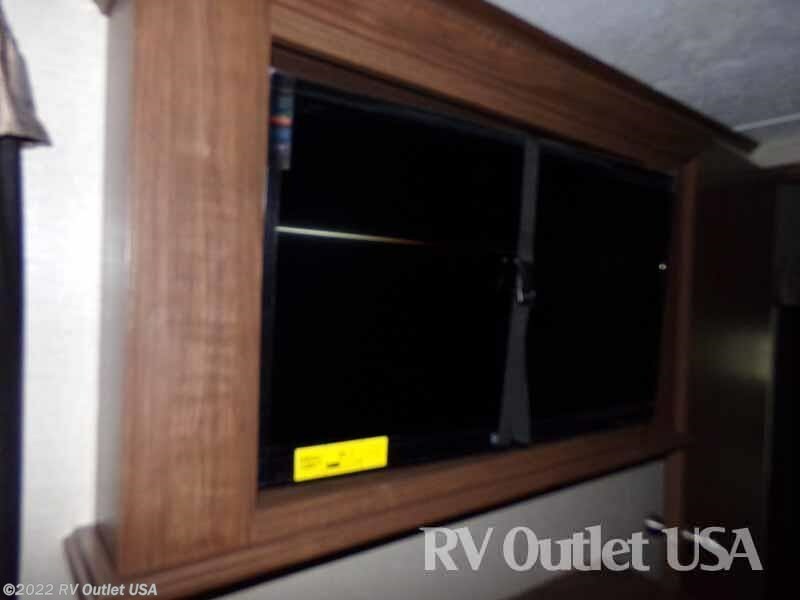 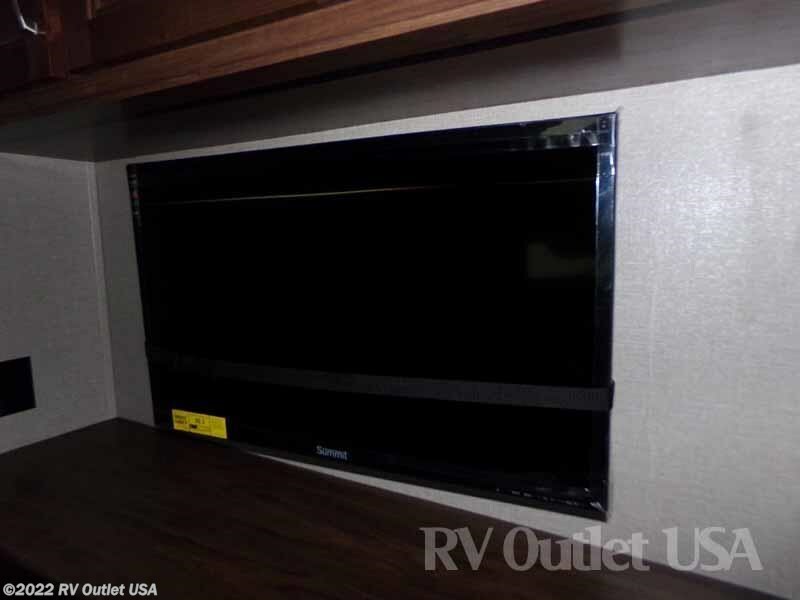 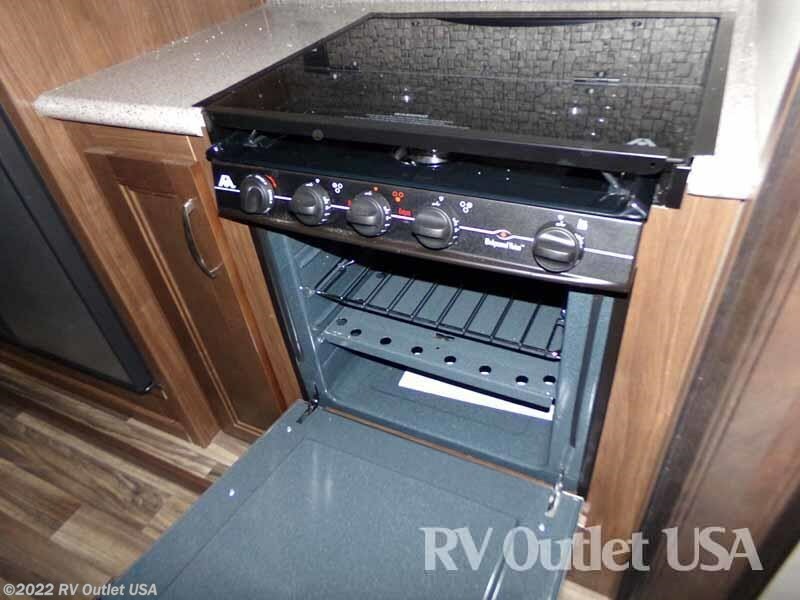 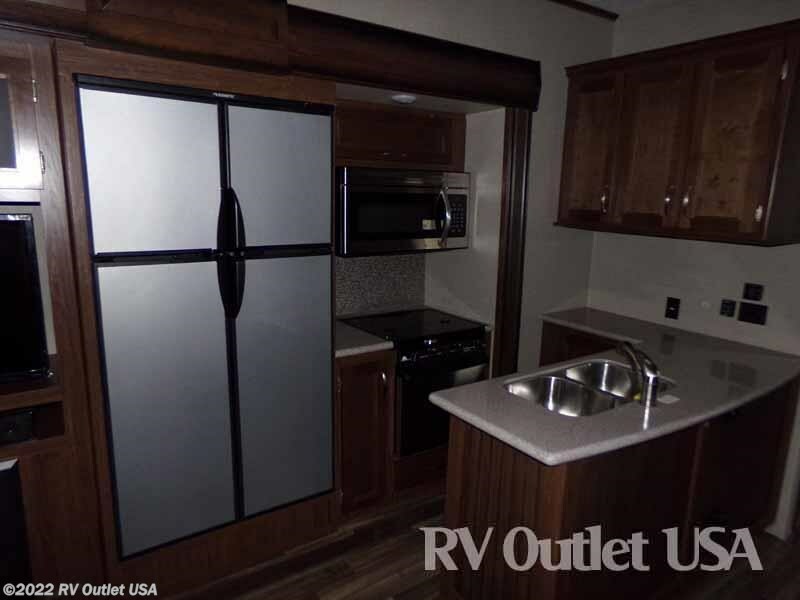 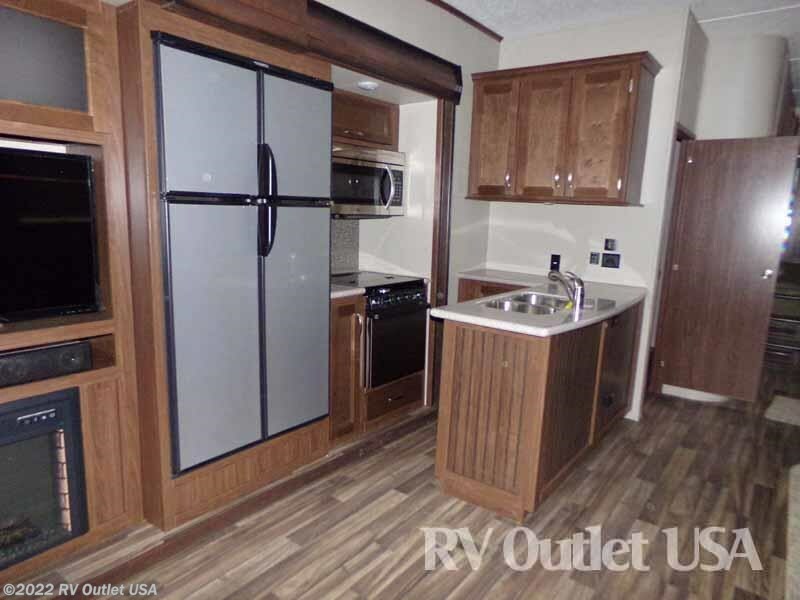 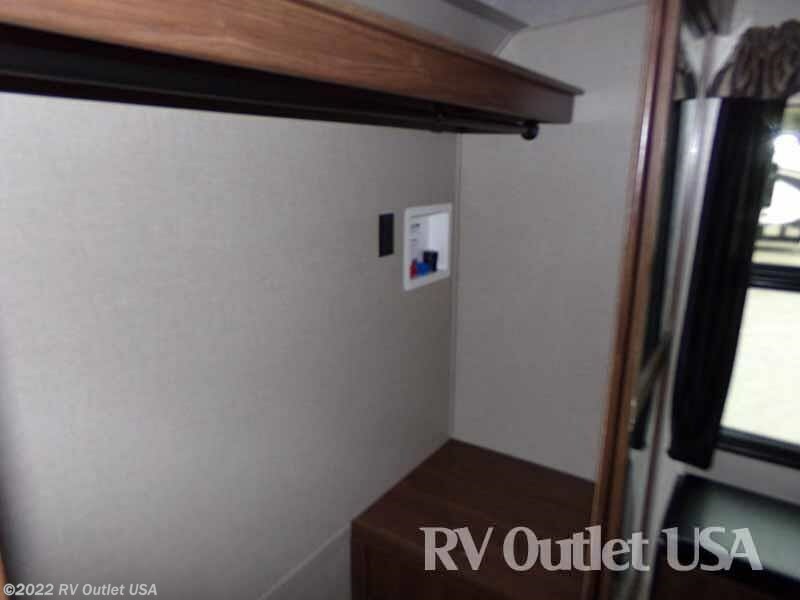 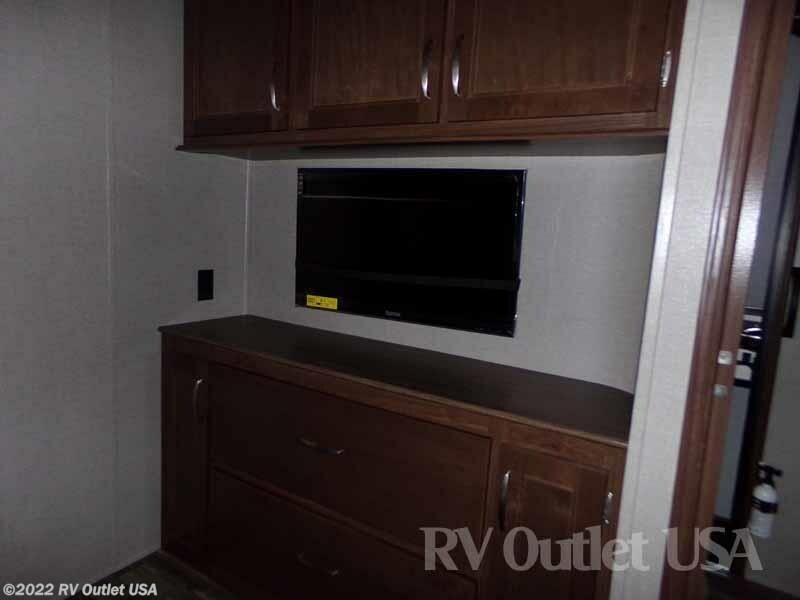 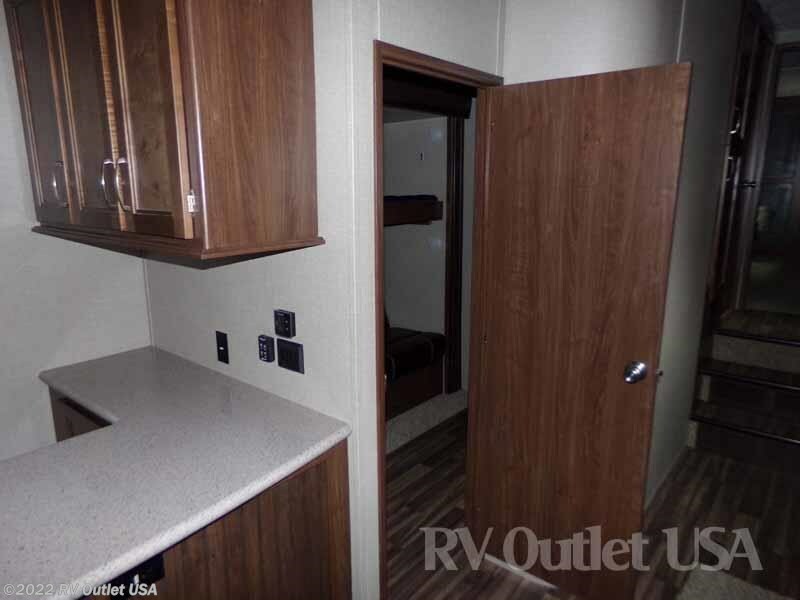 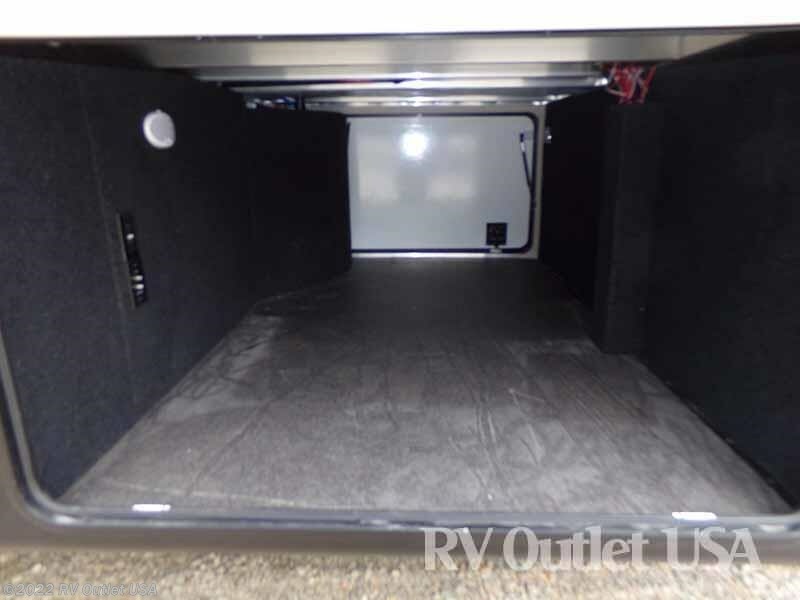 The slide on the off door side towards the front has a full galley (kitchen) with a (3) burner stove top with cover, an oven, a 30" microwave oven with an exhaust hood and the new 12 cu. 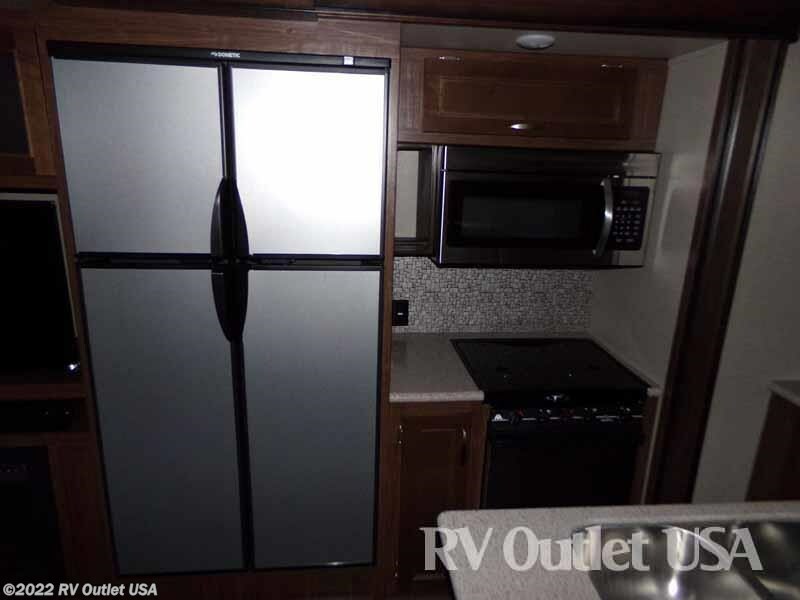 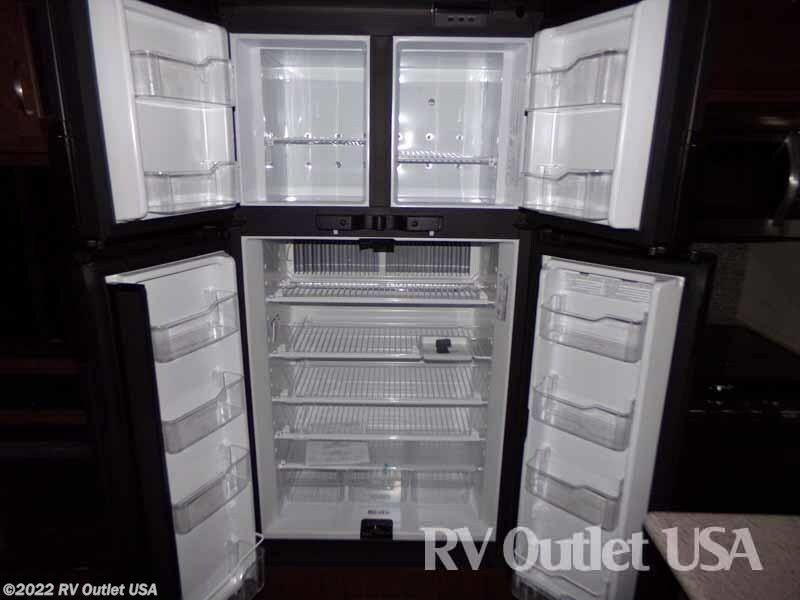 ft. gas/electric (4) door refer and all the appliances are stainless steel! 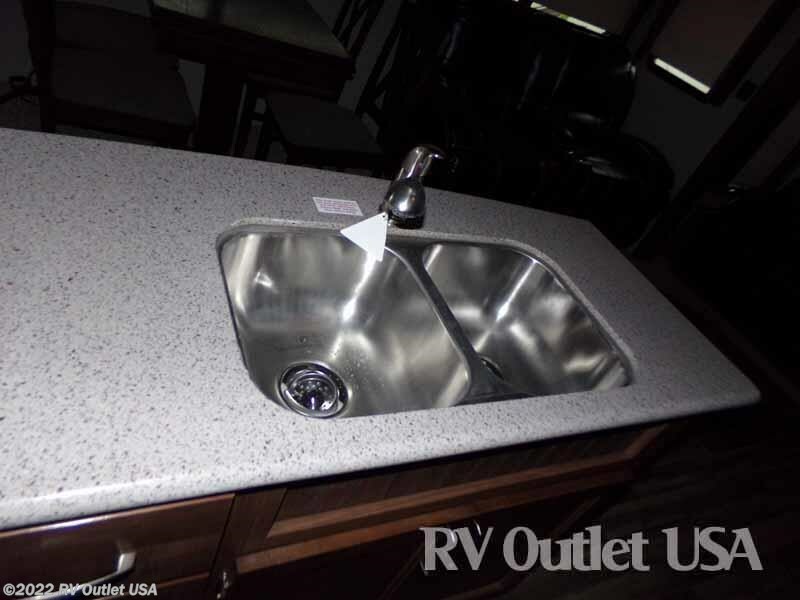 It also has a large L-shaped solid surface counter top with a double sink and tons of extra storage! 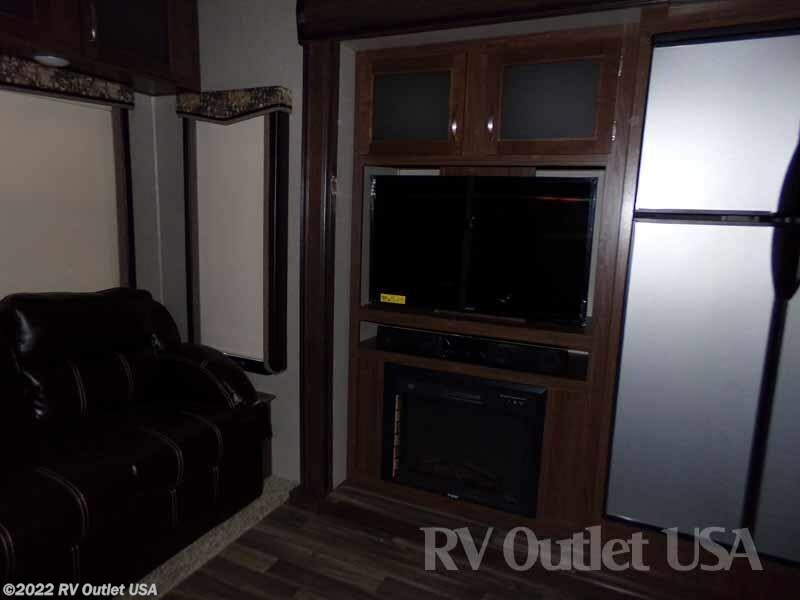 Towards the rear of that slide is the entertainment center with a large LED TV, AM/FM/CD/DVD player and below that, the electric fireplace. 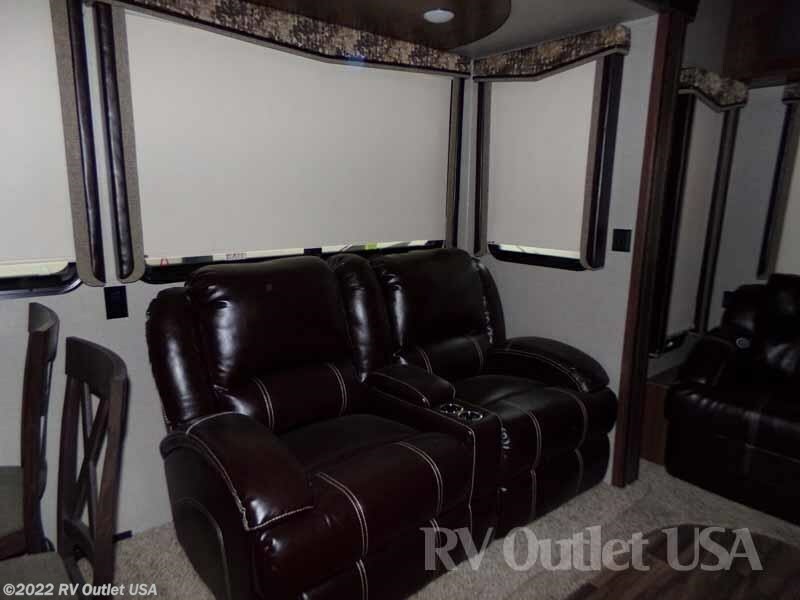 Across from that, on the door side is another super slide with a free standing dinette and (4) high back chairs, and the super cool theater seats which face the TV perfectly! 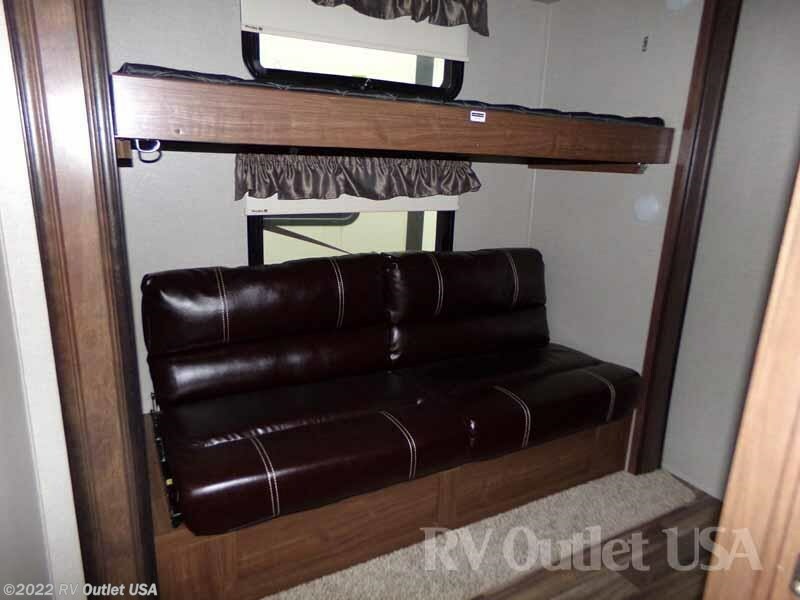 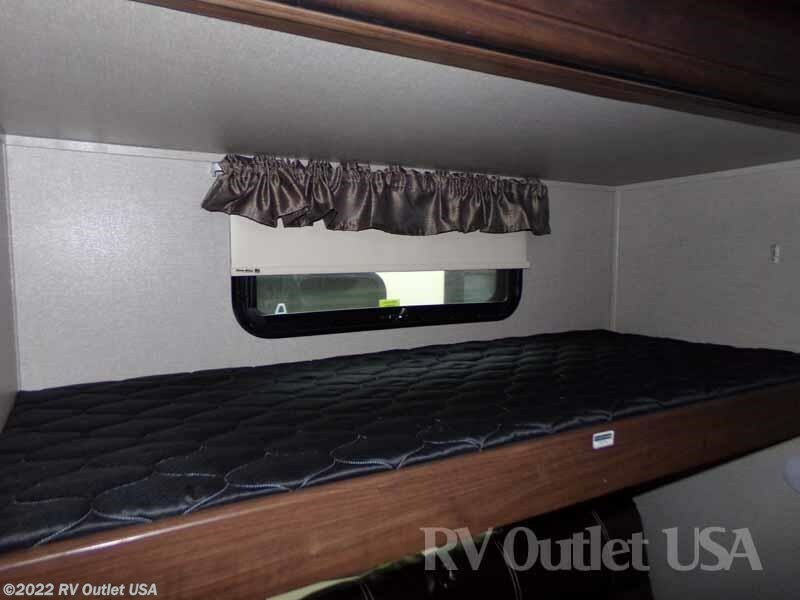 In the rear of the coach is the hide-a-bed sleeper sofa. 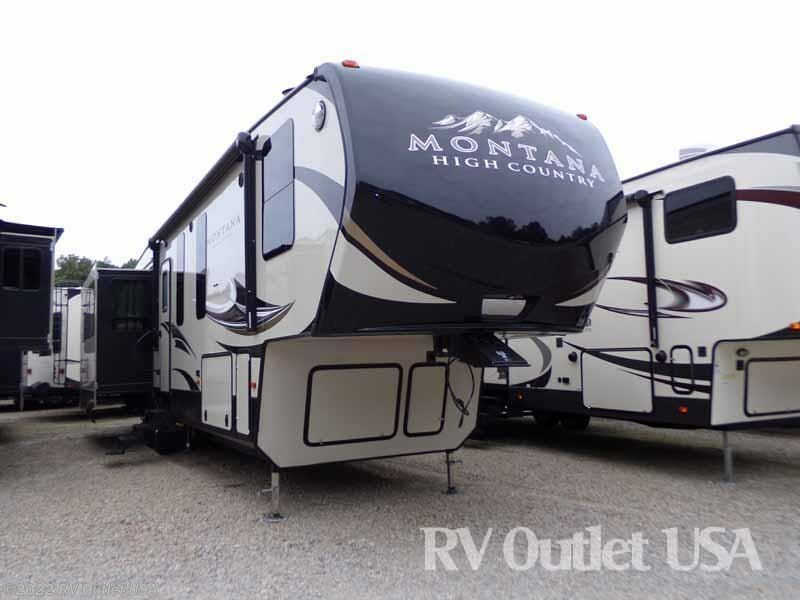 There's no doubt this is going to be a great selling floor plan for Montana High Country, and with the bigger discounts we get, we will have the absolute lowest prices! 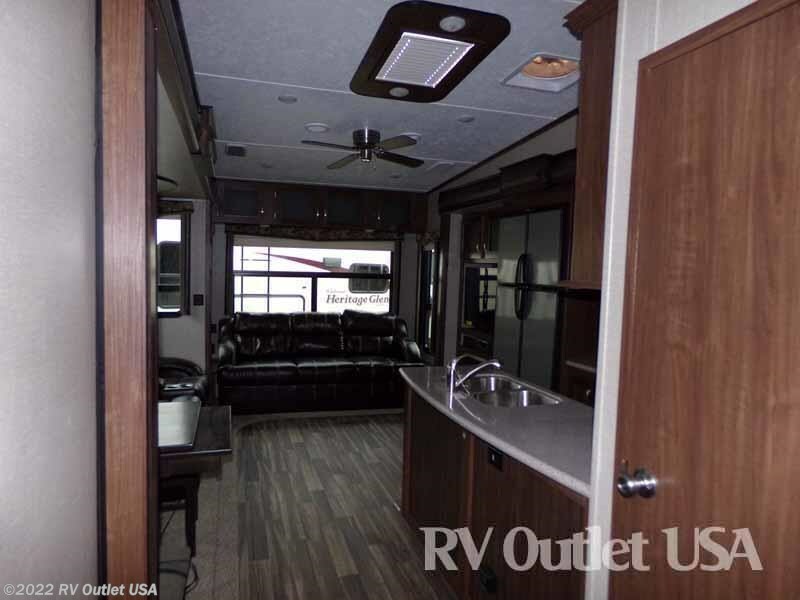 Here's a list of the options that were ordered on this new 2018 370BR! 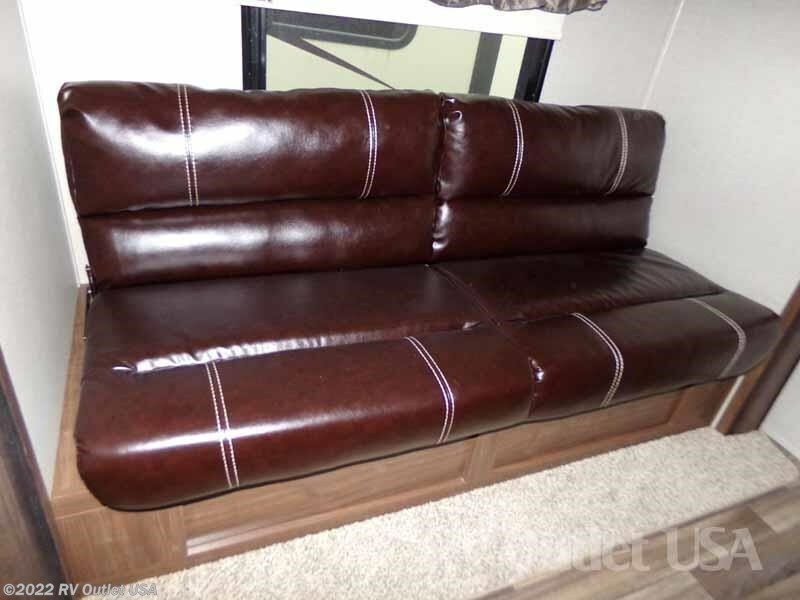 The interior color is Nutmeg. 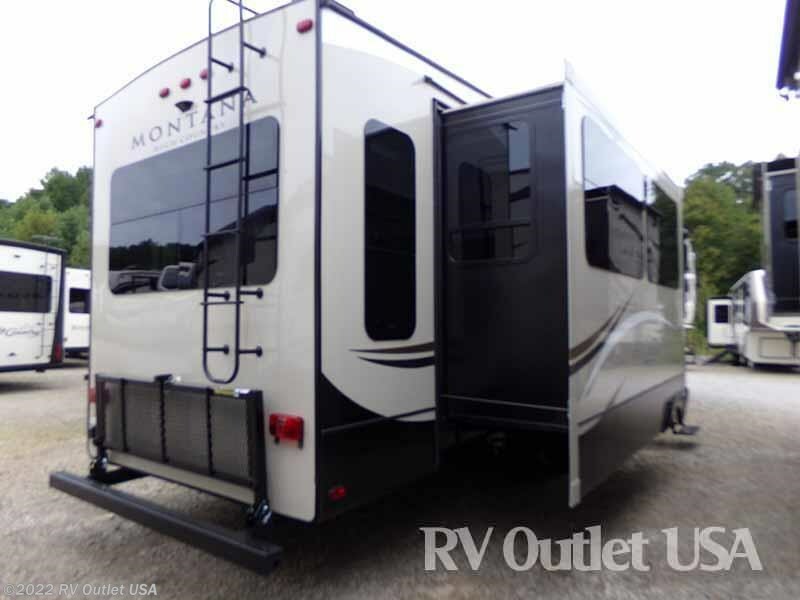 It has the new Champagne high gloss exterior, the High Country Residential Living package, and the High Country Four Seasons package. 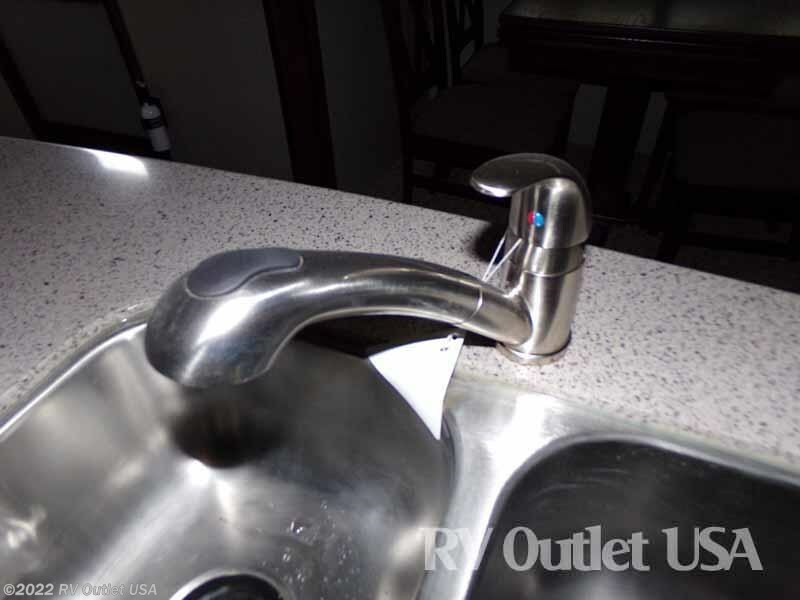 There's a ton of very nice features in these packages! 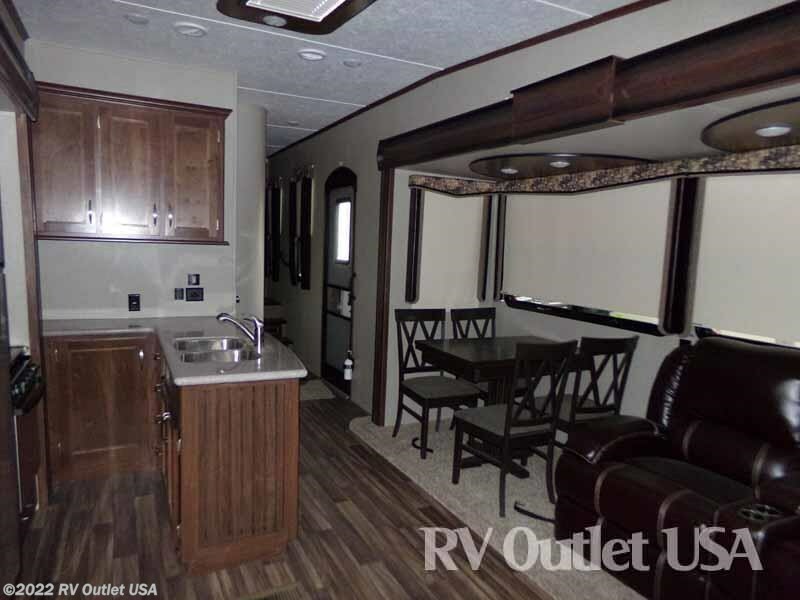 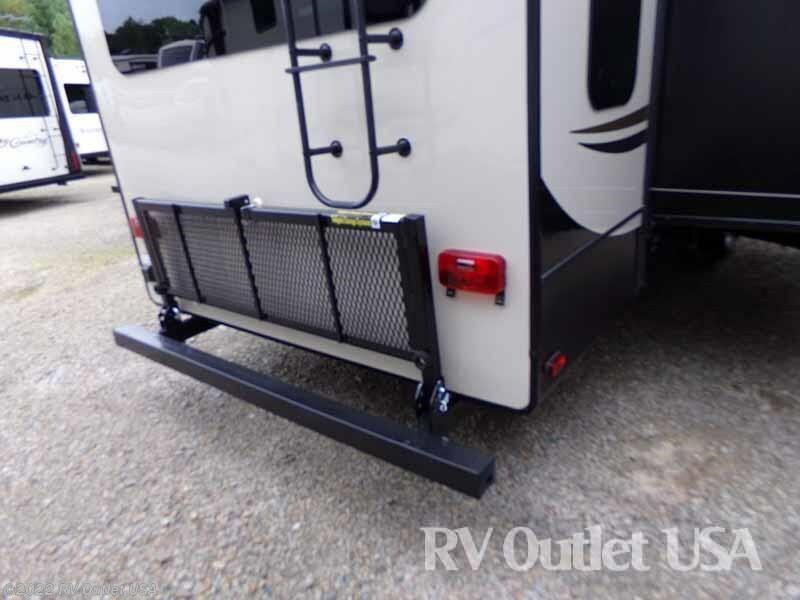 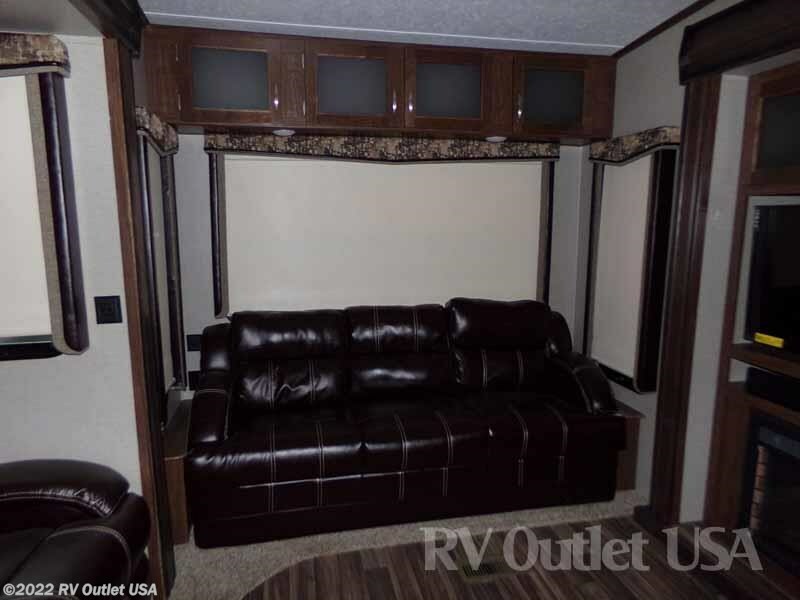 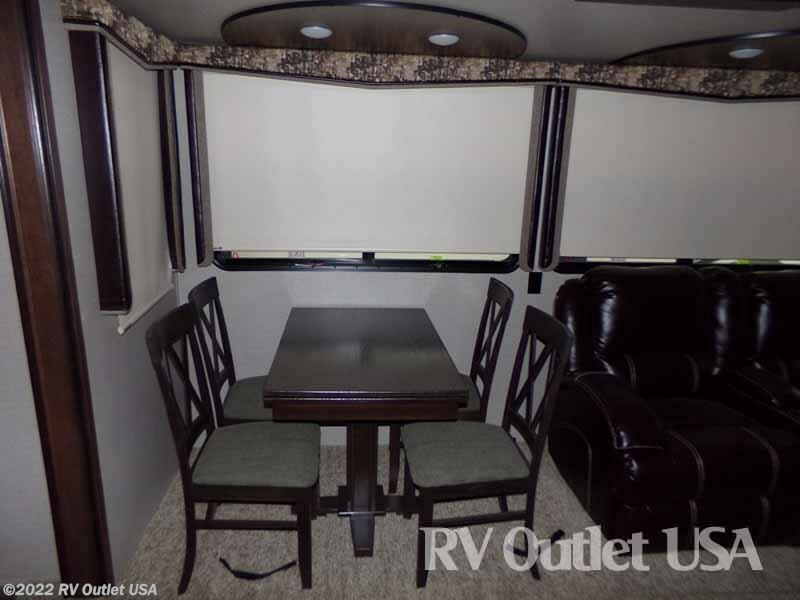 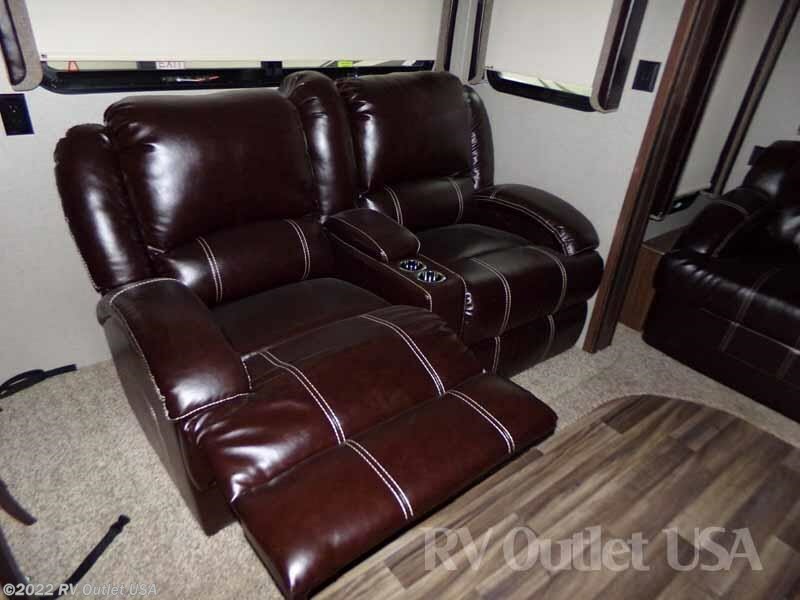 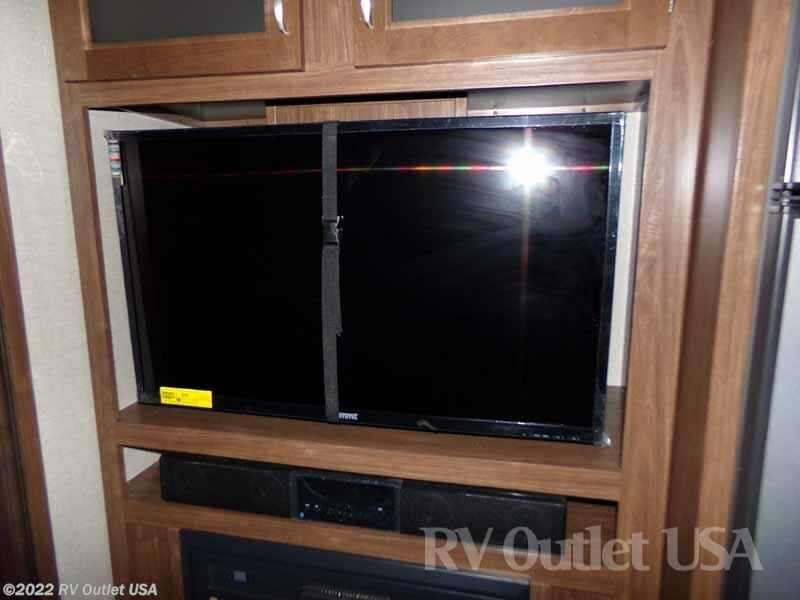 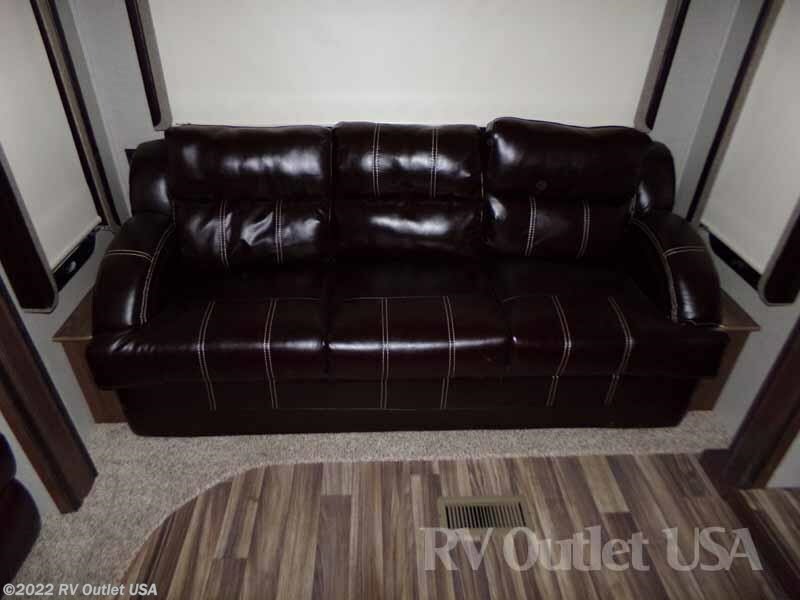 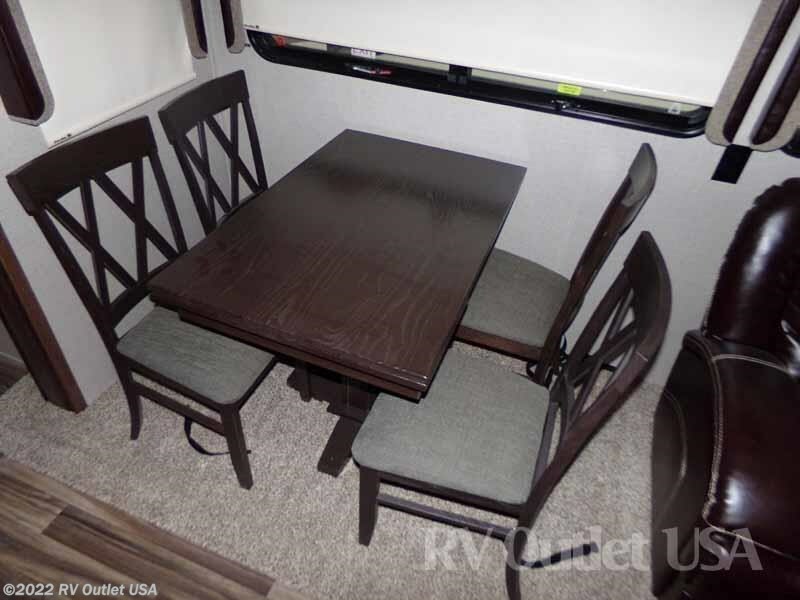 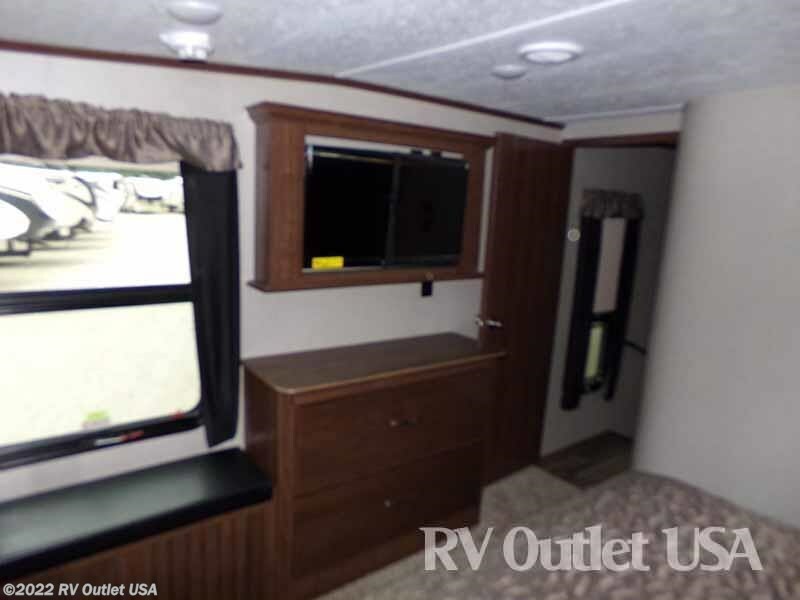 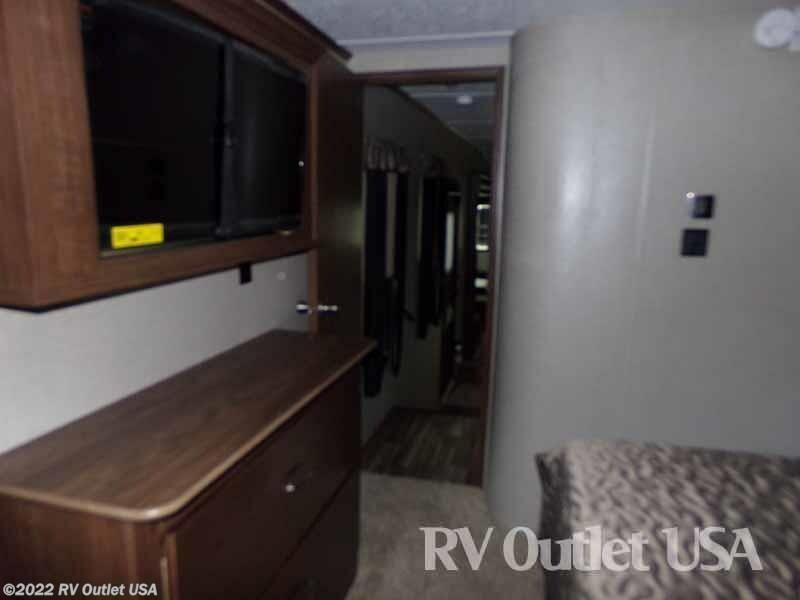 Additional options are, the rear bike rack, it has the 12 cu ft (4) door refer, the auto leveling system, it has a 2" receiver hitch, the dual A/C package, dual pane windows, a fireplace, the King bed in the master bedroom, theater seating in the living area, and the free standing dinette with (4) chairs!